With Thanksgiving this week, we tend to focus on gratitude, taking the time to appreciate our good fortune and express our thanks to family, friends, colleagues and, sometimes, a higher power. This is the time of year for commercials that make us cry and Hallmark movies that make us swoon. We will read inspirational quotes plastered on our Facebook feeds, and share heartfelt videos reminding us of our many blessings. These lovely reminders will resonate with many of us. They will be enough to put a smile on our faces and joy in our hearts. For some of you, they may not. You may have lost a job. Your relationship may have ended. Your child may be suffering at school. Your spouse might be ill.
You may just be having a bad year. Maybe there is no reason. Whatever the reason — or lack thereof — it is OK to not feel thankful. When you sit around the dinner table Thursday, and people share what they are grateful for, it is OK to not answer, or to just excuse yourself during that part. You aren’t a bad person if you can’t find something. You are a human who is entitled to feel angry, sad, lonely or confused. You don’t owe anyone a smile or pleasantries. You don’t need to “fake it.” You can just be. 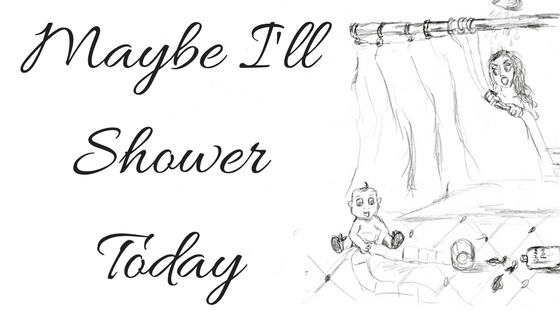 This entry was posted in Uncategorized and tagged blogging, depression, feelings, gratitude, self care, thanksgiving on November 19, 2018 by Maybe I'll Shower Today. I started my blog in 2013 out of a need to keep writing (my lifelong creative outlet) and to vent about my struggles as a new mother. While, I understood anything I put online wasn’t technically private, I did little to promote my work and gain an audience beyond my family and a few random followers. My writing was raw and more like what I would journal in a private notebook than something worthy of a larger audience. However, even from the beginning, I hesitated to reveal every personal detail. This entry was posted in Inspire, Think and tagged blogging, children, family, marriage, parenting, personal life, privacy, sharing, writing on April 4, 2018 by Maybe I'll Shower Today. “You have three days to make ‘band-aid’ a thing in a post, article, meme, or live video.,” so were the words of the great Ms. Mary Katherine Backstrom, award-winning creator of Mom Babble, in the writers group she hosts. This entry was posted in Inspire, Think and tagged band-aid, blogging, branding, content, creative, influencers, Johnson and Johnson, marketing, personal brand, writing on May 17, 2017 by Maybe I'll Shower Today. Way back in the early days of 2015, I attended a live reading of several excerpts from the book, Listen To Your Mother. It was here that I met Melisa Wells, the woman responsible for all things social media at BlogHer, and its parent company, SheKnows Media, the sponsors of the event. I got to chatting with Melissa and a few other women from BlogHer, including Sponsor Experience Manager Liz Katkics Thompson and co-founder and COO, Elisa Camahort Page, and learned about their annual conference. I was completely bummed, because, although the event was in my home city, I already had plans for that week. Not one to wallow over disappointment, I accepted my fate, and became determined to attend the following year. In the year that followed, I kept writing, achieved many of my publishing goals, and slowly grew my social presence. 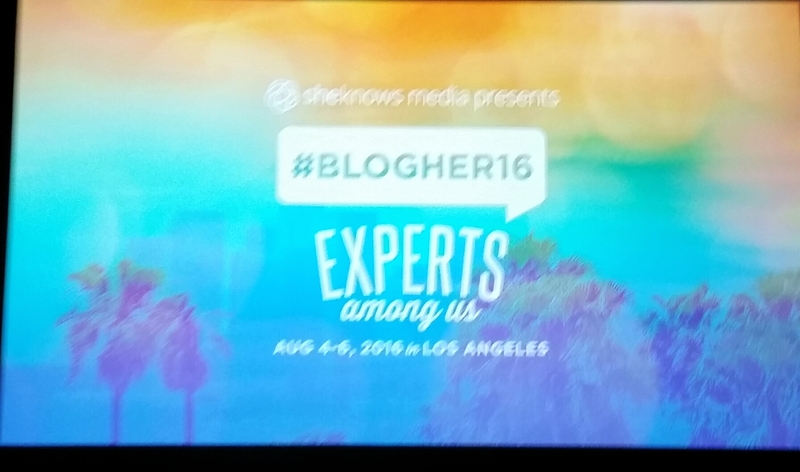 All the while keeping tabs on news regarding BlogHer 2016. This entry was posted in Inspire, Smile, Think and tagged blogging, blogging conference, blogher, blogher 2016, conference, friendship, networking, writing on August 9, 2016 by Maybe I'll Shower Today. This entry was posted in Inspire, Smile and tagged awards, bloggers, blogging, Sisterhood of the world bloggers on February 14, 2015 by Maybe I'll Shower Today.